Our series on New York rolls on as we celebrate the last days of Yankee Stadium. Since this is the dead and dying period of American life, the natural inclination is to work towards spiritual rebirth. In fiction (like that boring tome The Bible) the meme is always water. Here in New York there are massive construction projects to wipe the slate, to cleanse us of that dirty taste in our mouth. The Old Yankee Stadium, which hosts its last Yankee game this coming Sunday, was not that building. The New Yankee Stadium is not that building, either. 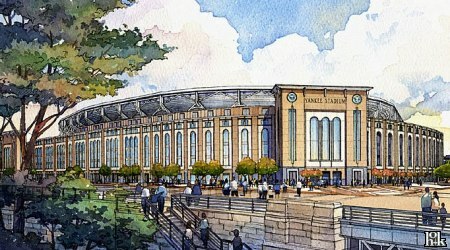 Designed by HOK Sports, New Yankee Stadium shapes up to be as bad as the old one. The Red Sox made needed improvements to their ancient piece of history, Fenway Park, but in typical New York fashion the new announces itself with the wrong building. It incorporates all the disturbing capitalist excesses that doomed our markets with the usual Yankee churlishness. Does a baseball stadium really need a Hard Rock Cafe? As the Yankees find themselves out of the playoffs in the first time in forever, their spend-anything approach to management will create a massive behemoth of a new stadium (63% larger than the original!) that will house a gaudy new team. They’ll shell out dollars to sign the likes of CC Sabathia and A.J. Burnett, thinking that will put them back into contention. If success were as easily as writing a check, the Yankees would be winners. But they’re not. The facade is reminiscent of the first Yankee Stadium facade. The lovely coloring and view of the structure down its third base line makes for a pleasing enough exterior. The real problem is with the interior lines of the ballpark. In order to accommodate additional seating, much of the crowd will be farther and farther away from the action, lessening the feel of the current Yankee Stadium, where everything and everyone seems to be on top of the play on the field, while keeping intact the short porch for lefthanded hitters and the ugly nothingness behind the center field wall. The new Shea Stadium, on the other hand, embodies all too well the spirited of fucked-upness that the denizens of Queens brought to their filthy, outdated ballpark day after day. That the minor league ugliness of an apple popping out every time a home run is hit is seriously being considered as part of the new stadium makes me weep. It’s only the utter ineptitude of the Dale Sveum-led Milwaukee Brewers that’s allowed the Mets to stick around this long. Their bullpen consists of journeymen lefty and righty, none of whom has ever gotten an important out. Billy Wagner’s left elbow says hi. The Mets may back into the playoffs and “erase” the disappointment of last year’s collapse, but their bullpen is already crying at the thought of giving up game-winning bombs to Ramirezs, Manny and Aramis. 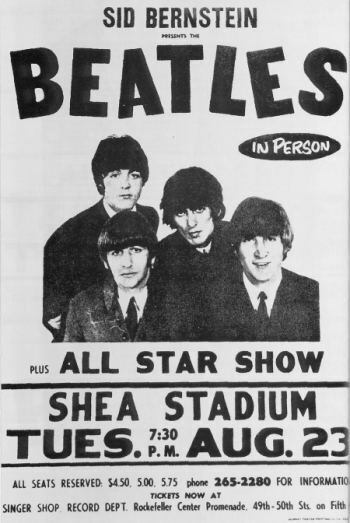 Despite the fact that being a Mets fan is as rewarding as rooting for an Arrested Development movie, at least Shea Stadium has as variegated a history as its Bronx brother. 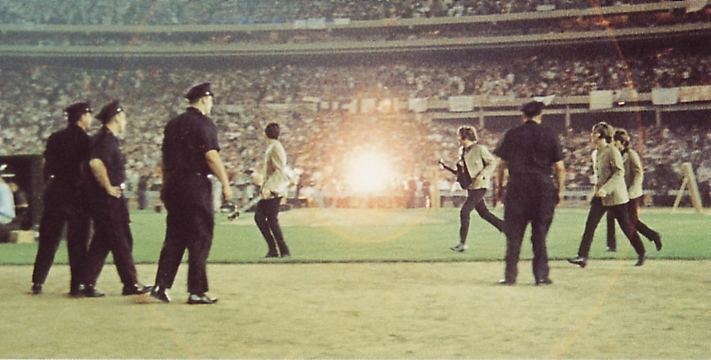 The Beatles’ visit to Shea, for example. Even now that they’re the most successful baseball team in New York, the Mets have a lot of trouble selling out games. Yankee Stadium will attract a million more fans than Shea here. It’s winning that brings fans to the ballparks, and the Yankees have done it long enough to be the big ticket in this city. Even if they go to the World Series this year, the Mets will never be New York’s team. The Mets’ new ballpark is also set to open in 2009. The large pavilion in front of the ballpark will either be a festival of corporate endorsements or a celebration of old New York. Guess which. To that end the club has promised through its relationship with the MTA to offer additional gameday service that should make it nothing less than a pleasure to head to Shea/CitiField. The Yankees have countered with more Metro-North trains to bring in out-of-state dollars. There was some talk of naming the new stadium after Jackie Robinson – for what reason, no one ever explained. The promised interior, seen above, actually reminds me of the old Shea Stadium, soon to make way for a parking lot. Technology at the expense of comfort, confusion at the expense of simplicity. At least the people in Queens know when to move on. The new football complex at the Meadowlands may end up as the saddest structure ever built. Besides the pain of getting out to New Jersey, there is the inevitable disappointment of seeing the two most boring sports teams ever to take the stage. Recent controversy has been over the Jets and Giants demanding thousands of dollars for PSLs (Personal Seat Licenses). The Jets will even auction off some of the field-level action on StubHub to make the most money off each seat. Longtime season ticket holders are being gouged, and they’re not happy about it. Who would want to actually attend a football game in person in these high definition times? The most interesting of the new stadium concepts was developed by tycoon Bruce Ratner, in a project conceived by Frank Gehry and titled Atlantic Yards. There has been moderate community opposition to this proposal, but it looks as if they will break ground very soon. It’s tougher to build stadiums in cities because of community opposition and other lobbying interests. It’s also important to build them there so that these Babel Towers doesn’t cower in New Jersey, a place where we don’t care if God sees us. Save Flatbush! Oh, wait, actually…if you could build on top of it, that would be great. The interior of the arena, a small part of the overhaul pacakge, is an exciting contemporary area, suited for concerts and other cultural events, expansive enough to keep prices down for the people of the area. It is the total opposite of the only New York arena stadium not being totally rethought, Madison Square Garden. Unlike MSG, long called The World’s Most Famous Arena, the new Nets area will have the luxury seating to attract corporate clientele currently sinking their dollars into the lowly New York Knicks, now captained by our favorite person in sports, Mike D’Antoni. It would be naive not to recognize the true elephant in the room when it comes to all this New York building, and that’s the 9/11. 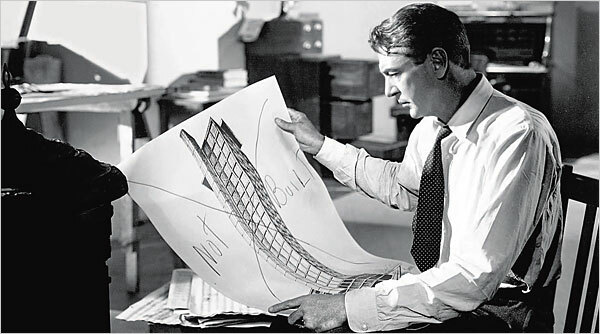 In a way the architects and businessmen are saying that the only way they know to compensate for loss, is bigger, better. Perhaps that’s as it should be, but even so. The problem with these projects was detailed best by Ayn Rand in The Fountainhead: the idea that it takes a village to ruin a building. Alex Carnevale is the editor of This Recording. He lives on the Upper East Side of Manhattan. Find faith in television reruns. The 80s were totally a simpler time. Ratner’s is breaking ground in December? HaHaHa! Now back to your press releases! Finances are fine! Sarah Palin’s a genius! Anything else you believe?? have developed some nice methods and we are looking to exchange strategies with others, be sure to shoot me an e-mail if interested.